This skilfully orchestrated weave of footage and interviews from the life of Mohammed Ali shows exactly why he was the King. The boxer did not need to change his name from Cassius Clay to carry in his heart the qualities that shaped him as a Prophet of astonishing grace, but it must have helped. His decision to reclaim his original heritage by re-branding himself symbolically made perfect sense as he explored, expanded and projected his true identity. 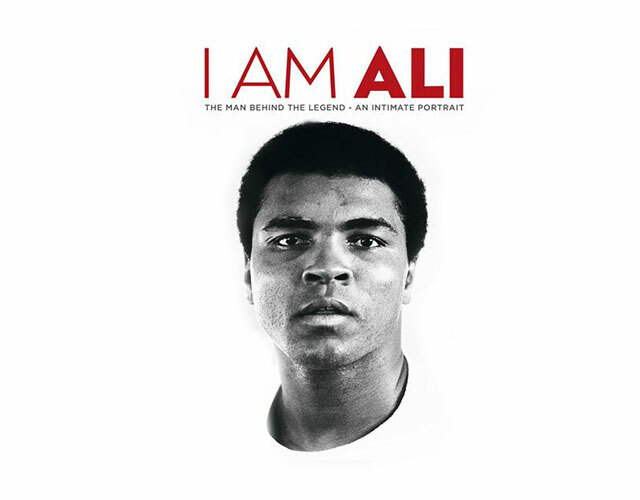 “I Am Ali” , by Clare Lewin, a British woman, reveals how each of his decisions, illustrated by his carefully chosen new name, consistently re-affirmed what drove him: Love, born aloft by a genius for speech which many a world statesman might envy and Shakespeare would have applauded. His undercurrent of humour was not so much personal artistry as an instinctive way of seeing and contacting. Ali would have been less profoundly complex without that open-minded breadth of humane acuteness. Most notably, his magnificent physical energy was inextricably harnessed to qualities of moral courage which in turn powered his sporting prowess. He explained the fact that he pulled back from throwing a gratuitous knockout punch at one of his vanquished opponents with an instinctively charitable judgement: ” Why? He’d had enough”. A sincerely family-loving man, he took strenuous pains to nurture all his relatives, and to draw his children together in close, amicable relationships. Generous to friends and fans, his fiery benevolence dazzled the world. When his daughter asked her mother why she was crying, Ali’s ex-wife said that when they had just greeted each other again she had looked into his eyes and “saw God”. Having been upliftingly immersed in this absorbing study of a man’s character during the course of this filmed life-portrait , I can’t argue with her. (Penstorm).